Okay, I confess I love gadgets. And video. So when a new video gadget comes along—one that’s truly useful and easy to use—I’m what you could call an early adopter. 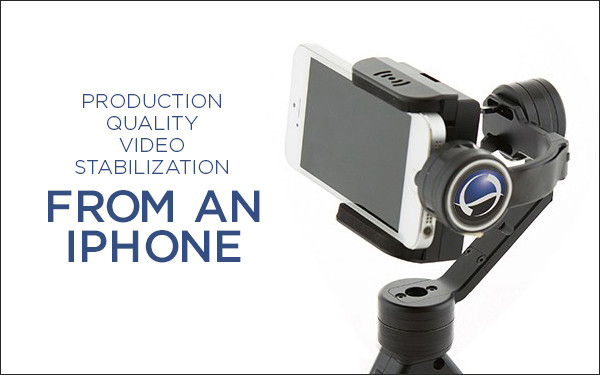 Recently, I was introduced to the first Smartphone Stabilizer I’d ever seen. It’s from a company called DSLRPros (near our Ft. Lauderdale office) and makes the HD-video feature on your Smartphone truly useful in commercial applications. After watching the product video online, I HAD to see this for myself. Luckily, my son-in-law had just graduated from orthodontic residency, so hey, I found my excuse. And at $299, it was the perfect gift for both of us. Before turning it over to him, I took it for a quick spin. Ok, several. The result? It was very steady even at a quick walk. Sweeping pans. Smooth tilts. It was simply fascinating—at least to me. Now for the ultimate test: rising from my desk, walking through a doorway, down a hallway inside Bakery Square then taking a quick pan of our courtyard. One take each, with (right video) and without (left video) the stabilizer. Nothing special, just a true test drive. Next, I edited the two side by side to compare their differences. I think you’ll agree it’s pretty remarkable.